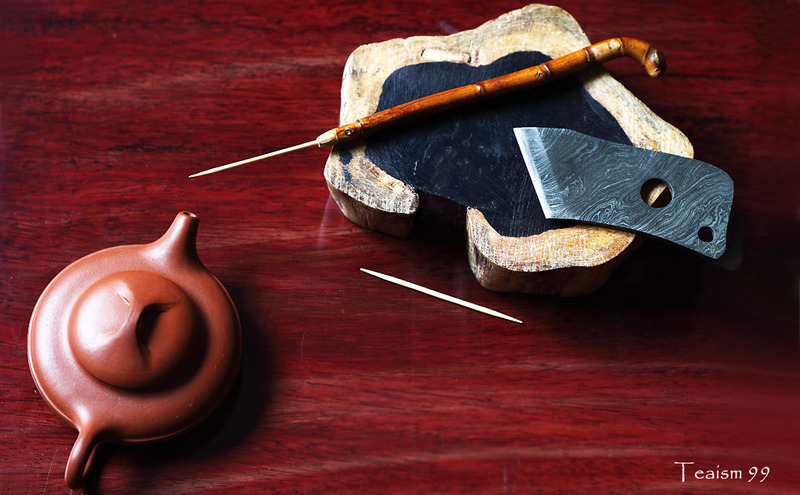 Yixing teapot especially the single-hole discharge spout tend to clog often. Usually a small tooth pick is used to poke into the hole to unclog the choke. It has to be done gently (gently~gently… ya) in order not to break the teapot’s spout. In the spirit of recycling, this damaged bamboo tea utensil is repaired and improvised. 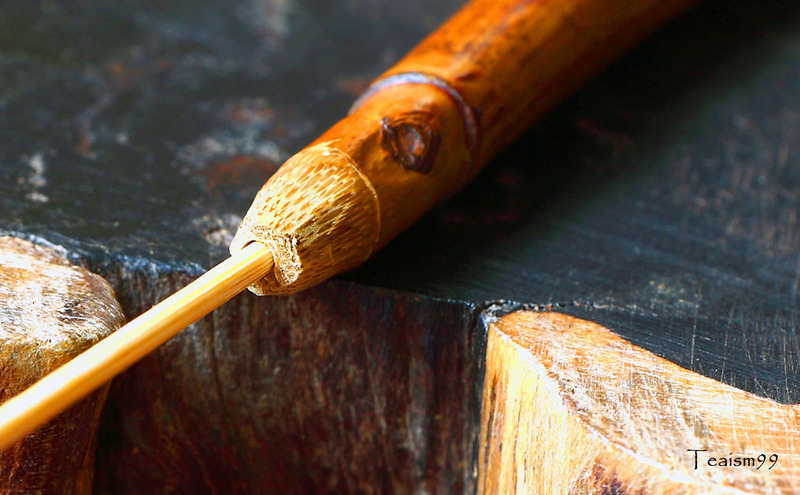 A loose piece of bamboo toothpick can be fixed in and disposed of after used. That makes a really nice tool to clear clogged teapot. With disposable tooth pick, it is definitely more hygienic. It is really enjoyable to recycle and carve this piece of tea utensil. On top of that, it definitely has more sentimental value now. Choky teapots? Have no fear, Pokey is here.